Available in color Black. Using the same superior design of the Lock-Jaw Olympic Collar, the Lock-Jaw One Standard Collar is quickly becoming the premier collar for group strength exercises requiring a standard barbell. Featuring the quick, one-handed patented Lock-Law latch, this collar is an incredibly lightweight and durable alternative to other standard collars. 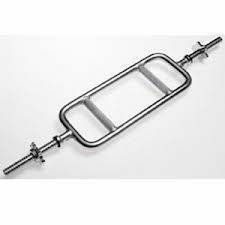 The Spinlock bar is a light 20lb bench press bar. It comes complete with two heavy spin lock collars with a rubber grip inside to lock tightly to your weights. Great for light weights and a wide grip. Spinlock bars are compatible with plates that have a 1" or standard hole size. The spinlock dumbbell handle bar is 5lbs and come complete with two heavy spin lock collars with a rubber grip inside to lock tightly to your weight plates. 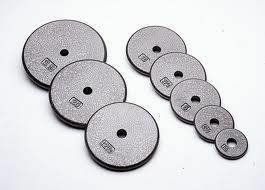 These dumbbell handles offer a cost effect option for a complete set of dumbbells by simply purchasing a set of plate weights to interchange on each handle. Spinlock bars are compatible with plates that have a 1" or standard hole size. The spinlock curl bar is a light 15lb easy curl bar that measures 47" in length. 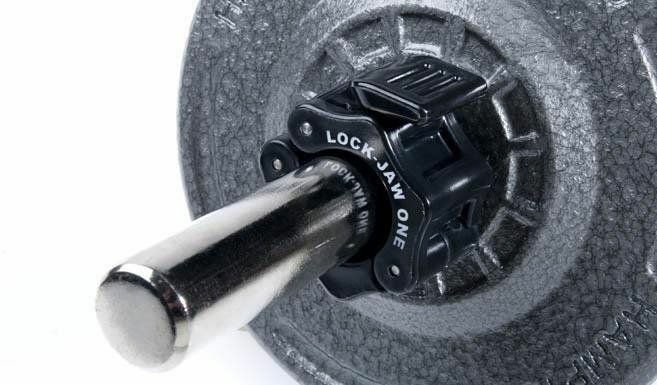 It comes complete with two heavy spin lock collars with a rubber grip inside to lock tightly to your plate weights. 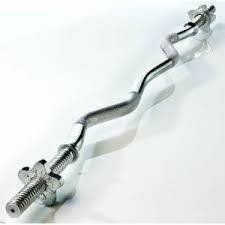 Get the maximum benefit for your entire bicep muscle by using the different angled grip options this bar offers. Spinlock bars are compatible with plates that have a 1" or standard hole size. 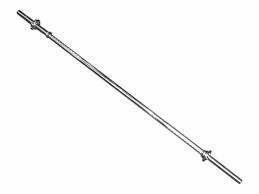 The spinlock tricep bar is a 15lb bar. It comes complete with two heavy spin lock collars with a rubber grip inside to lock tightly to your plate weights. Do your tricep workout properly by using a tricep bar. Spinlock bars are compatible with plates that have a 1" or standard hole size. Durable and true-to-weight, the standard flat-weight plates from Champion Barbell are ideal for home or gym use. Finished in black, they're made to last a lifetime of lifting and fit any 1-inch weight bar.